"I was appalled by today's @ Sky News report. I have instructed that individuals behind this be arrested and encourage all those impacted to contact the authorities and file an official complaint." The post read. "The regime in Zimbabwe is a product o f 37 yrs of Mugabe, the system was never changed; there was never any move to constitutionalism, the regime belongs to the past." He said. "No amount of investigation will change the foundation of a coup de tat, flawed and rigged election and lack of focus on the economy." He said. "Right now in the past 2 weeks, the rule of law trampled on so badly that it does not exist." She said. 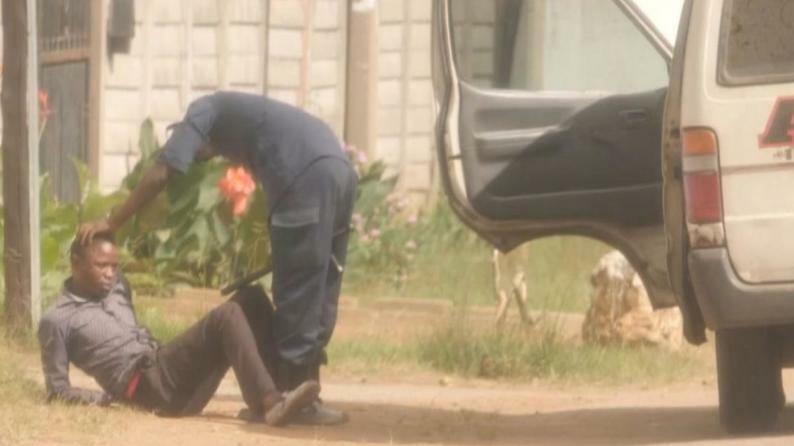 Veteran journalist Hopewell Chin'ono believes that the ongoing crackdown on suspects accompanied by police brutality is doing more harm than good on Professor Mthuli Ncube's efforts of enticing foreign direct investment. ‘How else can you explain this total disregard for the rule of law in front of international news cameras? It makes the sanctions argument stupid when the government is inviting international scorn in this way." Chin'ono said. A cross section of Zimbabweans who responded to Chin'ono's sentiments said at this rate of injustice the comatose economy will further plunge. "We have checked our records and we have not cleared anyone from Sky for accreditation," Secretary for Information, Publicity and Broadcasting Services Mr Nick Mangwana said yesterday. "Normally that should happen before they are even allowed to come into the country. During the disturbances we cleared dozens of journalists but Sky News did not apply. It's strange why they chose not to obey the law because everyone else from British Media such as ITN, BBC, Financial Times did things the correct way and they never faced any problems. We even granted them interviews when they asked for same." However, this remains an issue of the contents on the video rather than Sky News' operating without accreditation.